In Letter to Words: An Artistic Approach to Modern Calligraphy, hosted by the awe-inspiring Ivy Newport, learn the basics of modern calligraphy and explore a variety of art mediums and papers. What I love most about modern calligraphy is the idea of using tools from an old art form in a creative and expressive way. This class will slow you down and be truly present in the moment. I hope you’ll join us! 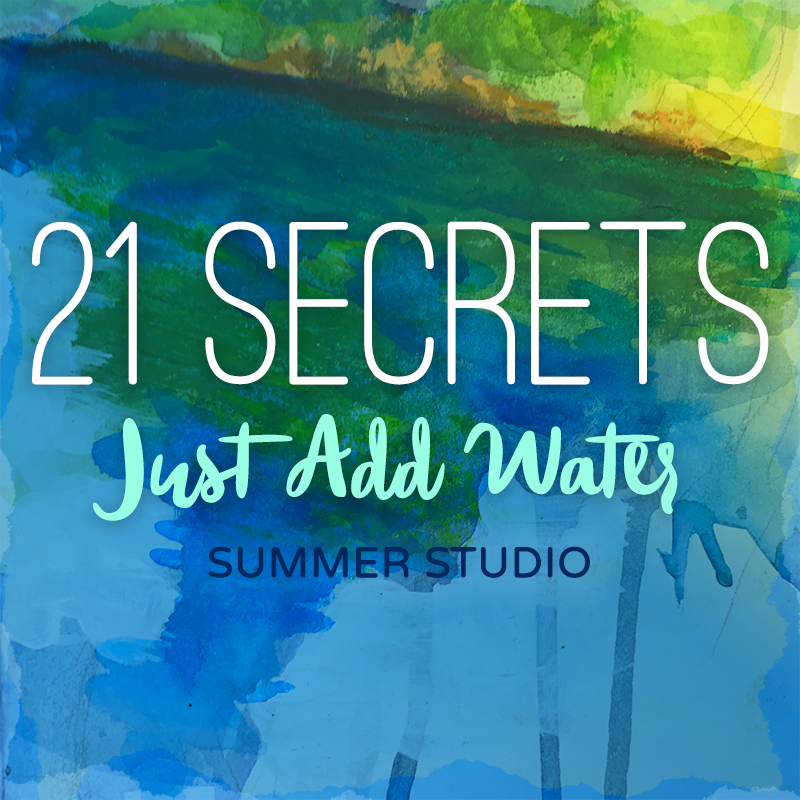 21 SECRETS Summer Studio is a brand new program launching in July 2018 organized by Connie Solera to inspire and support artists in keeping their art-journaling practice fresh, fun, and totally do-able throughout the bustling Summer season! Connie is joined by 20 talented artists divided into two themes: Just Add Water where we will make a splash by diving into watercolor techniques that we can use in our art journals; and The Great Outdoors where we will welcome Mother Nature as our muse.